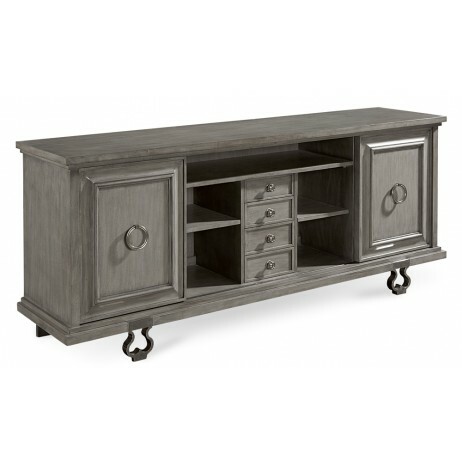 A beautiful piece of furniture to support any sized TV. Generous storage is available thru two sliding doors, three drawers, and two open shelves. Lyre shaped metal feet add dimension. Available in Thistle or Smoke.